A new life is waiting for you. A life of passion. Joy. Fulfillment. A life where you are aligned with your purpose in life. This and more is waiting for you at Date with Destiny. Join Tony for 6 days live as you embark on a journey of self-transformation. This event will take you not only beyond who you are, but what you want – out of your life, career, finances, health and relationship. Discover the unique values and motivations that shape how you think, feel and behave. Learn to eliminate pain from your life for good and fill your life with more pleasure than you thought possible. Date with Destiny has transformed the lives of thousands – and now it can transform yours. See for yourself. Imagine what life would be like if every day you knew, with absolute certainty, that you were aligned with your purpose and true self in life. If you had the power to shape your thought, behaviors and actions – to design the life of your dreams. That’s the power of Date With Destiny! 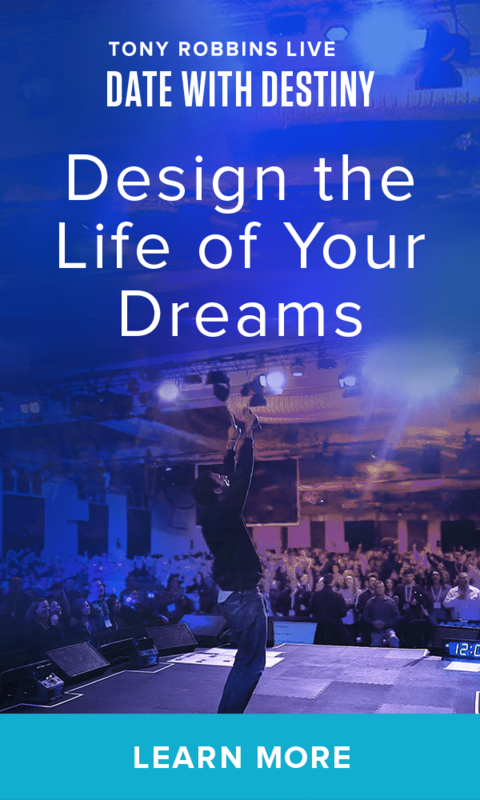 Join Tony Robbins at this year’s hallmark event – the 30th anniversary of Date With Destiny – where your new destiny awaits. Don’t wait another minute to change your life, this event will sell out months in advance.